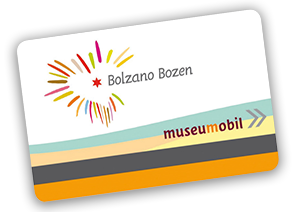 Now you can explore the Val Sarentino/Sarntal Valley, Bolzano/Bozen, and San Genesio/Jenesien – and experience lots more – easily and free of charge With the Bolzano Bozen Card Plus, staying in the Val Sarentino/Sarntal Valley is even more interesting and exciting. For guests, the card is your personal admission ticket to a world full of attractions and advantages enabling you to discover the Val Sarentino/Sarntal Valley, Bolzano/Bozen, San Genesio/Jenesien and the vicinity. Mikes Bike Park (from April till October: 10 % discount on bike rentals and the rental of helmets, back protectors, and knee protectors). Sarentino trout farm – Restaurant, bar, fish sales. 10% discount on the menu and the fish sale. Open from Easter to end of October, every day from 10 a.m. – 10 p.m. Monday closed. Riding stable and farm holiday Garmesegg: horse riding activities all year long. Riding stable Residence Bergerhof: horse riding activities from May till October.